Thank you for considering the Bulldozer Corner to Corner (C2C) crochet graphs and instructions. 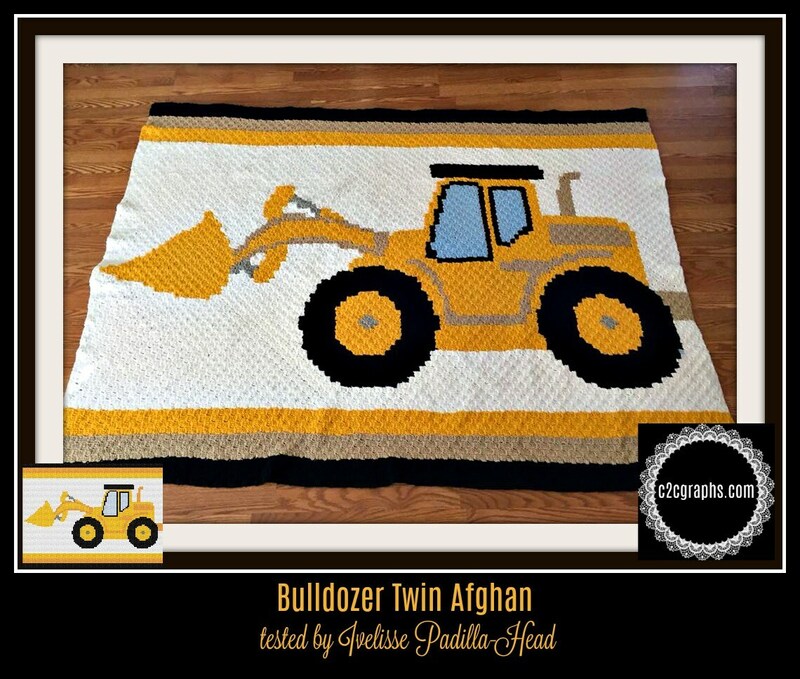 This Bulldozer afghan is sure to brighten up any child's room! If you would like to have it be a bit smaller, consider doing the mini C2C in place of the Standard C2C. The pattern has a link to my video going over the mini c2c if you're unfamiliar with it.